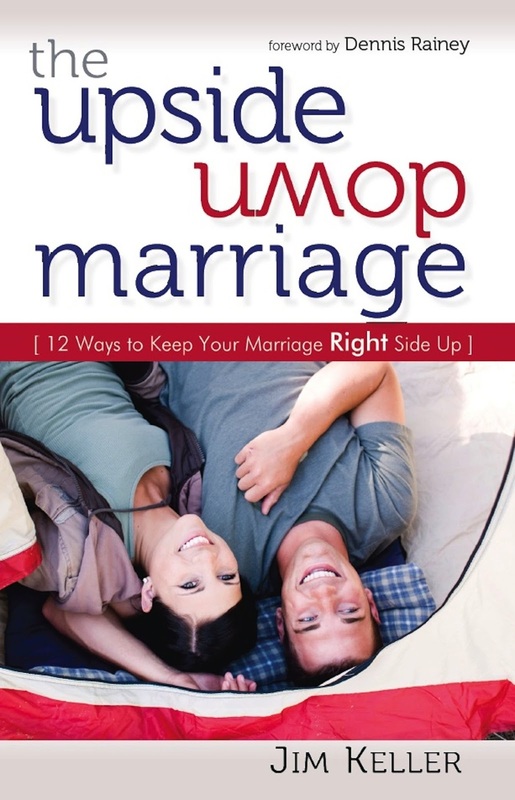 Jim Keller, a nationally known marriage counselor, gives unconventional advice for a successful marriage in his new book ,The Upside Down Marriage. As the bride stands at the back of the church on her father's arm, looking at her beaming groom waiting for her, neither one of them assume that their marriage will be anything but blissful an exciting adventure of two people bound by love. Oh sure, they don't presume that they will be without problems, but theirs will be a union of joy and understanding. But what happens when the marriage becomes less about the better and more about the worse of their vows? Having counseled couples for more than 25 years, Keller shares his expertise and insight on the best ways for couples facing the challenges of healthy marriage to come together and make things work. But Upside Down Marriage is not just for couples already in the throes of a troubled relationship, but also for those looking to keep a good marriage from heading down that path. Keller uses humor to share his expertise and insight on the issues of marriage. None of us are really told what to expect when we marry our significant other. There is no manual and while there is some counseling that may happen depending on your faith, you usually will not touch on many of the issues that this book examines. This is the type of book that personally I wish I had read at the beginning of my marriage as it may have opened my eyes earlier to some of the bumps that we definitely hit along the way. You can tell that the author really knows what he is talking about and as a professional counselor the examples that are used throughout the book was tangible and truly something that is easily implemented. One of the things that I appreciated within the book outside all of the content, was the feeling of support that permeates the entire book. From beginning to end, as a reader you feel that the author is here to hold you up and that he empathizes with what you have or may experience in your life. This is definitely a book that will help you build or rebuild a marriage that you will be proud of and that will last you a lifetime.